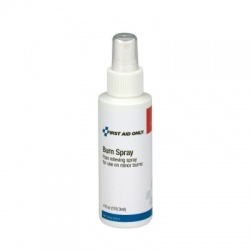 Wholesale Direct offers you Aerosols & Sprays for Burn Care and Burn First Aid, which work immediately to relieve the pain of minor burns, sunburns, scalds and abrasions while it disinfects the burned area. 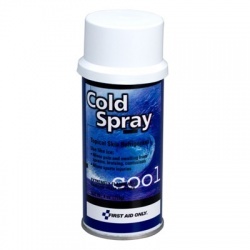 We also carry Cold Sprays that draw heat away from burns, cooling the skin and reducing both swelling and pain on burns and while removing splinters and on bruises or sprains. 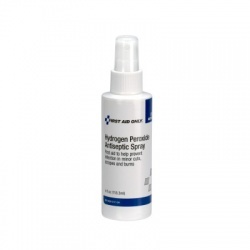 Aerosols & Sprays There are 15 products. 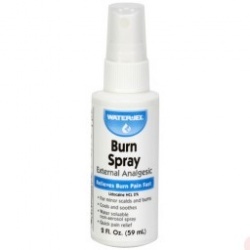 Antiseptic spray, 3 oz. Case of 12 @ $3.79 ea. 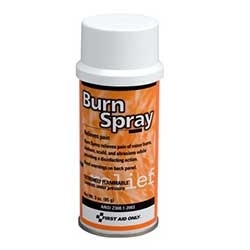 Antiseptic spray, 3 oz. Case of 12 @ $3.79 ea.